I thought this manga was sort of cool and I’d never really given it a shot to read the wuxia (light novel) instead so I decided to give it a shot. If you are reading and you feel the story goes a bit meh at chapter 45 then I recommend reading the LN, by this point in the LN he has gotten so strong that he could destroy the world if he isn’t careful so he’s moved on to another world where he’s around the strength of an great saint master.. The manhua is desperatly trying to turn every thing into a joke, to a point that you cannot feel any of the Hatred that the antagonists characters have for each other, you can’t feel the ruthlessness and uncompromising attitude of the Main character at all. Some important battle are straight up skipped, which is a shame considering the current chapter (38) is a Filler. If you do not want to read the wuxia and prefer to read a Mahua, at least do yourself a favor and read one that doesn’t treat the source material a complete joke, there are quite a few of them, and while none of them are perfect as adaptation goes, at least all of them are better than this one. The fights are nothing like the ones in the light novel… Tie Ta wasn`t pushed down the arena. The mc repeatedly attacked his back and dodged all of his enemys attacks until he submitted to him. Besides his big brother should have the same build as tie ta. Even thou big bro is useless as hell. awww man another manhua where they treat every main character as trash and he has to prove otherwise and somehow he reincarnates with his previous memories….why? just whyyyyyyy? stop copying each other chinese authors!! we need some creativity here! me too i already read its light novel!!! Let me guess what happens. He gets reincarnated and has an unfair advantage of knowing years of knowledge and experience and then he also “accidently” comes across trillions of magic power enhancing drugs and legendary scrolls. He then goes on to dominate everyone he encounters. Sounds so familiar. not quite. more hey, i can do stuff. youre a cripple, so were going to treat you like crap. wait, hes not actually trash? how is this possible? now hes beating the crap out of us. It’s pretty good considering the story line almost the same like the other manga/manhua where they reincarnated, let’s just Hope that it won’t stop in the middle. Hmm let’s see how this manhua will unfold. do you have any suggestion for novels with the same genre or site i can read to. Still reading this as it releases, definitely one of my favorites. 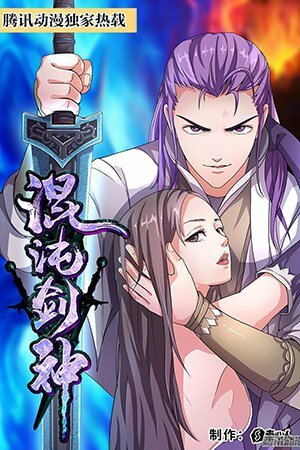 Going to enjoy the manhua as it triggers good memories, hopefully it doesn’t ruins anything or plot differs from novel.